Dr Tom Roques, from the college, said: "The UK is seeing more and more fantastic innovations in cancer treatment from the introduction of new immunotherapy drugs to high energy proton beam radiotherapy. "These doctors are vital to the rollout of these new therapies but we do not have enough of them and our workforce projections are increasingly bleak." The centres had another 70 posts that were vacant - with most of those unfilled for at least a year. And, the college said, if this was taken into account, the NHS was 184 clinical oncologists short - a figure it predicted would worsen in the coming years. Dr Rosie Loftus, chief medical officer at Macmillan Cancer Support, said: "We know that hard-working NHS professionals are already struggling to cope with escalating workloads, which are in part due to staffing challenges. "Gaps in the workforce can lead to longer waits to start treatment, which in turn add to the worry and anxiety many people already feel following their diagnosis. "To meet the bold ambitions for improving cancer care , we urgently need a costed plan to increase and sustain the number of staff needed to deliver them." 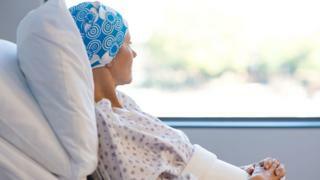 A spokeswoman for the Department of Health and Social Care in England said: "Improving cancer care and reducing waits is a priority for the NHS and we recently unveiled a series of commitments as part of the NHS Long Term Plan backed by £200m to fund new ways to rapidly detect and treat cancer."